Federated Farmers says a cow being left hoisted in hip clamps for hours and alone would be “totally unacceptable” but most people are pretty responsible. 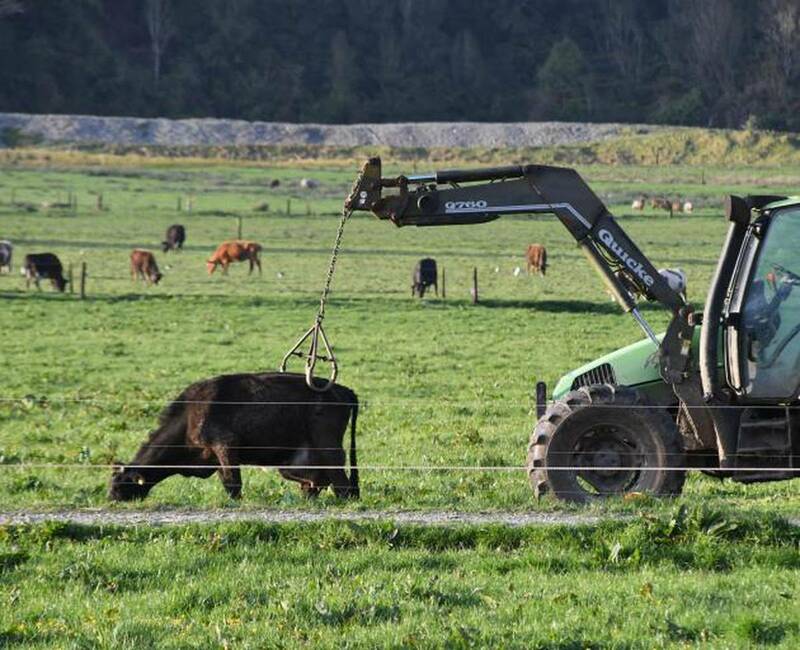 Claims a South Westland farmer left a cow hoisted for an unacceptably long time are being investigated. British tourist Ed Shephard was driving through South Westland on October 12 when he saw a cow suspended by hip clamps and reported it to animal welfare lobby group SAFE. Mr Shepherd told SAFE he returned two hours later to see the cow still in the clamps and on his return on Saturday morning, he witnessed the cow being suspended again, he said. “I used to live in one of the big dairy strongholds in the UK but had never seen anything like that before. West Coast Federated Farmers president Peter Langford said the length of time alleged would be an issue. However, it was allowed under strict guidelines for 10 minutes at a time maximum such as after a difficult birth or milk fever, where a cow struggling to get up would otherwise die if left on the ground. “Ten minutes while you are there, to get them to get up and let them get the blood circulating again. I think most people are pretty responsible,” Mr Langford said. The circumstances in this particular case were not yet clear and something might have happened no-one could have foreseen which left the cow hoisted for too long. SAFE took the complaint to Ministry of Primary Industries (MPI). MPI today confirmed it was investigating but said the fact a farmer was using a hip clamp to lift a cow was in itself not an issue. However, the alleged length of time was. An MPI spokeswoman said hip clamps were legal and used to assist an animal in some circumstances. However, it needed to investigate before they could say if there was an issue. “Our investigation is continuing into the length of time the cow was in the hip clamp,” MPI said. In a statement, SAFE said it was told by MPI it could not investigate because it only had 23 inspectors, and the closest was in Christchurch. The MPI staffer then suggested SAFE take the complaint to police instead. SAFE’s head of campaigns Marianne Macdonald said it showed animal welfare resourcing was falling critically short. MPI said that it was correct the complainant was advised by them to call police, as they did not have any animal welfare inspectors in South Westland. “It was the best option in the circumstances. Police are warranted animal welfare inspectors under the Animal Welfare Act,” MPI said. Mr Langford said the claim MPI had no staff to respond in South Westland seemed extraordinary, given the agency often drew on locally based resources such as vets. The New Zealand Veterinary Association suggests that hip clamps should be used for no longer than 10 minutes, and also advises the use of padding between the cow and the hip clamp device.